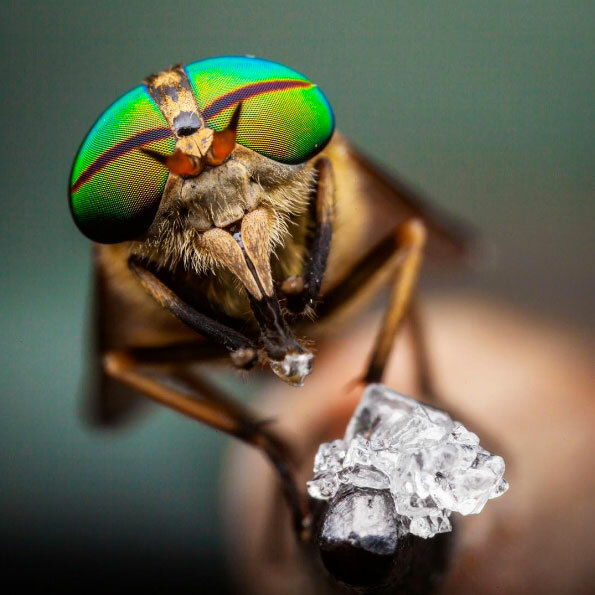 Ohio resident Brice Nihiser is a macro photography hobbyist who’s got a knack for insects. Nihiser has a bachelor’s degree in freshwater and marine biology, as well as a master’s degree in environmental studies, both from Ohio University. “I won’t say I used to be scared of arthropods, but they were something that I liked to view at a distance,” he tells Barcroft TV. “I now see them as small friends, something that there’s no reason to be afraid of. Nihiser showcases his photographs on Instagram and on his website, where some photos can be purchased. Nihiser says he uses the stacking method for most of his macro photographs, where multiple photographs are layered, or “stacked.” The macro photographs show a better picture of an insect’s anatomy.